Issa long read though! Not too long but atleast you will know his stand about Kanu's cause and his whereabout. Barrister Ifeanyi Ejiofor, a lawyer to the leader of the Indigenous Peoples Of Biafra, Nnamdi Kanu, enraged with politicians in Southeast for taking sides with the Nigerian government on the proscription of IPOB, has labelled all politicians especially Governors as cowards for not supporting the demands for IPOB. Barrister Ejiofor, who has been the legal counsel to Nnamdi Kanu and Indigenous Peoples Of Biafra (IPOB), disclosed to SaharaReporters during an interview that politicians in South Eastern part of the country did not support Nnamdi Kanu because they are more concerned about securing their political positions. He added that the politicians prefer to do this at the expense of backing the cause championed by Nnamdi Kanu. He claimed the current crops of politicians in the region of the country would be swept out of office in the next general election in 2019. “Southeast governors have no power to say IPOB is a terrorist and that is very certain. I condemned it, and they’ve withdrawn it saying they never at any point say that. What they said is a political statement to obtain favor from the federal government.” Barrister Ejiofor said. Responding to claim made by a former governor Abia, Orji Uzor Kalu who said Nnamdi Kanu had left the shores of the country after the attack on his house by military personnel. 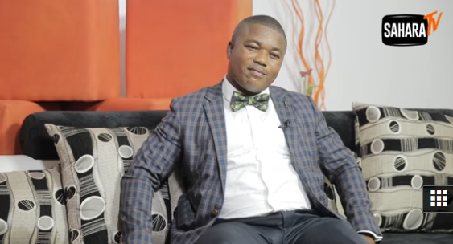 Barrister Ifeanyi asserted that Mr. Kalu is concerned about causing harm and unrest in the country. “I asked if he was there with the rampaging soldiers when the premises was invaded? He was not there. Also, he said my client went to London through Malaysia. Travelers will tell you it is not possible for somebody to travel to Malaysia and from there to the United Kingdom, it is not possible. Kalu’s statement is false and targeted at causing mischief because the military knows they have my client.” The lawyer for the group said. The lawyer affirmed that Mr. Kalu has not spoken with any relatives of Nnamdi Kanu since the attack took place. Barrister Ifeanyi, commenting on the attack and shooting that took place in Nnamdi Kanu’s residence, he insisted that the military is working together with the federal government and Hausa leaders. He opined that the action is targeted at alienating the Igbos and to silence demand for Biafra. Convinced that Nnamdi Kanu is in the custody of the military, Barrister Ejiofor demanded his client be released whether he is dead or alive.